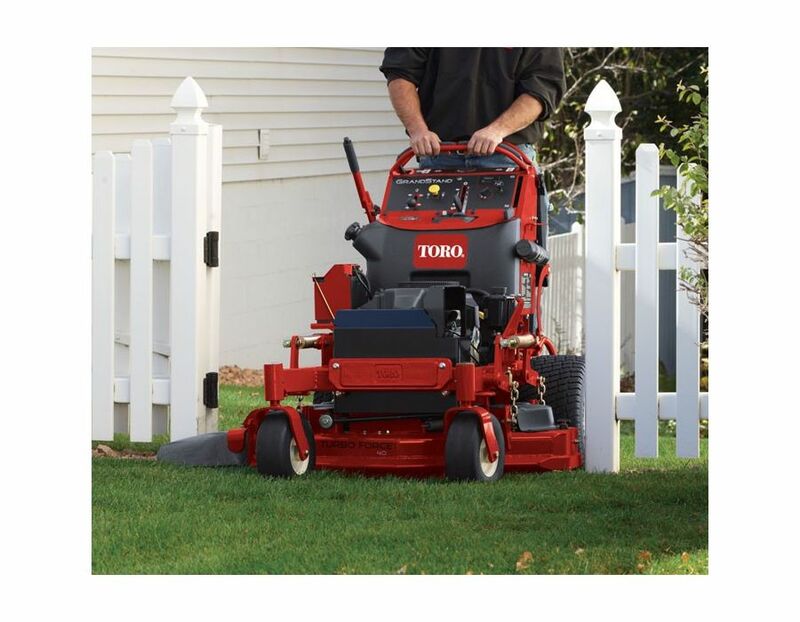 The 15hp Toro 74536 Kawasaki Grandstand Mower combines the speed of a zero-turn with the maneuverability of a walk-behind. It's compact size enhances versatility and saves trailer space. 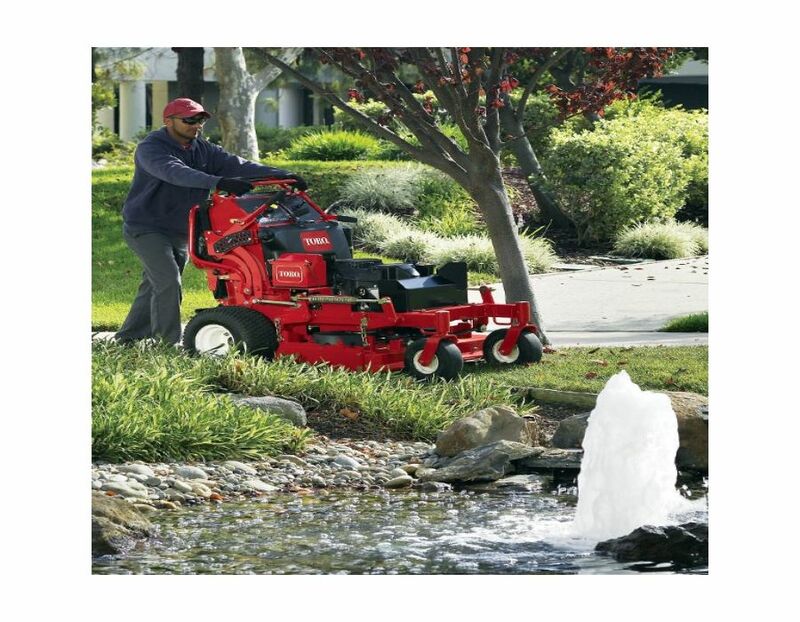 It has outstanding hillside traction and handling through optimal balance, and easy access on and off the machine. 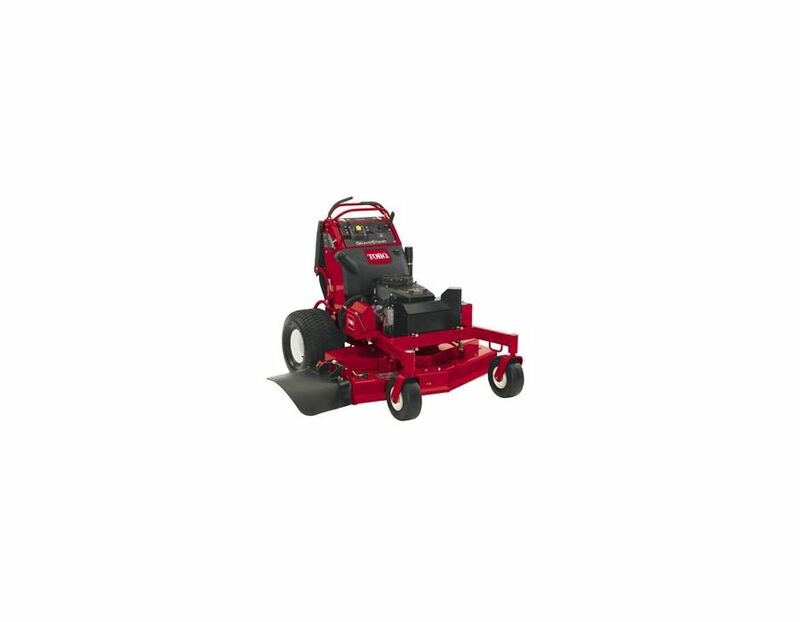 GrandStand® mowers feature a unique suspension system for a smooth ride over the roughest terrains, plus a retractable platform that allows for operation from both stand-on and walk-behind positions. 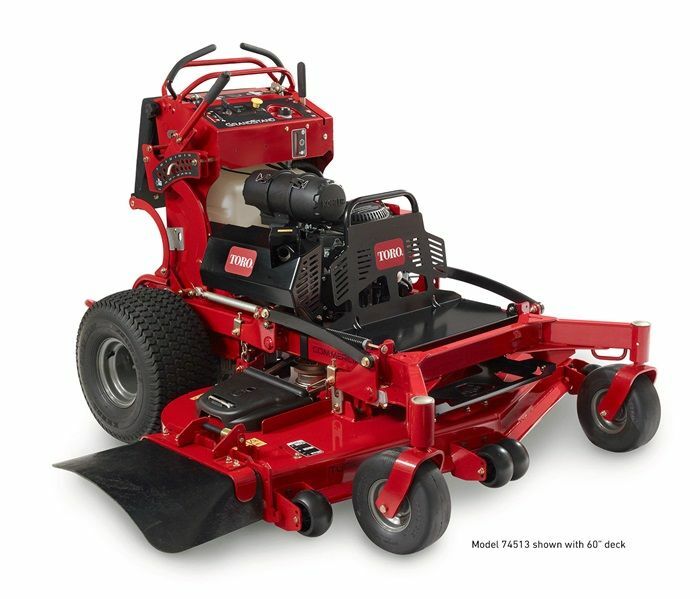 All models feature the innovative TURBO FORCE® deck for unmatched ‘quality of cut’. 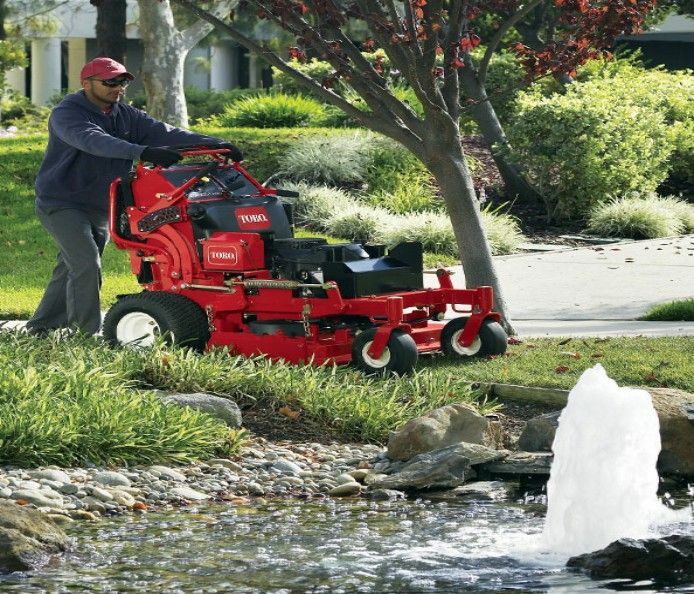 Stand-on Mower Productivity - The ability to turn easily, get in and out of tight spaces, and quickly get on and off the mower to pick up debris or move obstacles all contribute to less time spent per property. 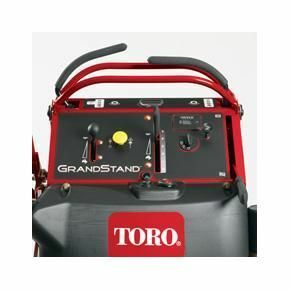 The exceptional visibility of the GrandStand protects the operator, the mower and the property. 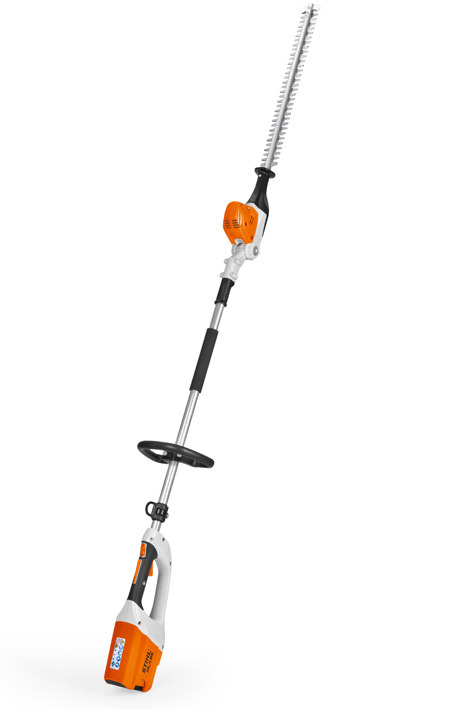 The operator is better able to steer clear of obstacles, identify upcoming changes in terrain and easily pass beneath overhanging branches. 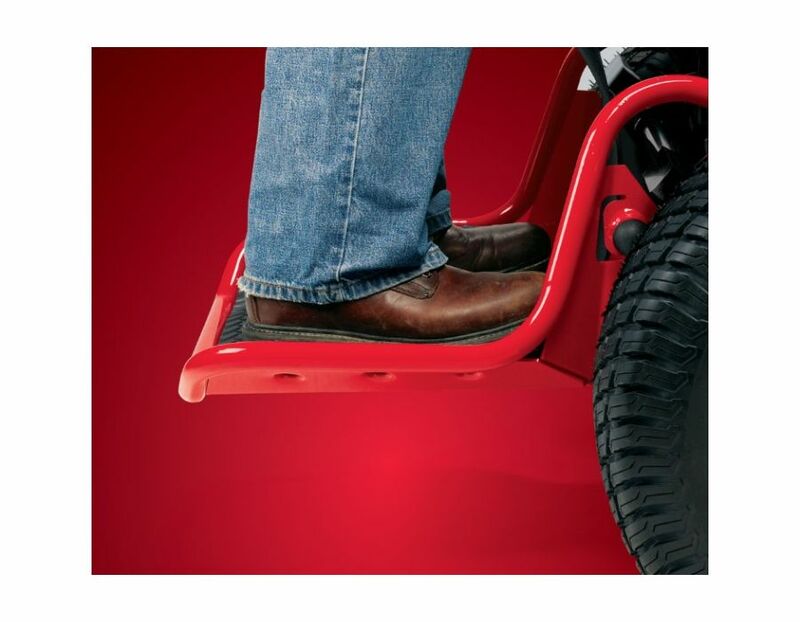 Patented Adjustable Baffle - Allows operator to achieve maximum cutting performance by fine-tuning deck to conquer changing conditions, unique job sites or different times of the season. 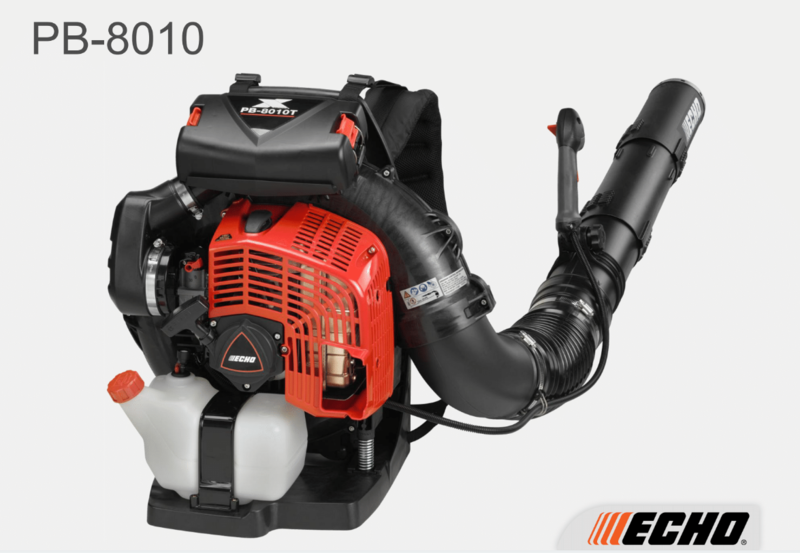 In extreme conditions, the baffle can be opened in order to conserve power and achieve faster mowing speeds. In less demanding conditions, the baffle can be closed to yield micro-sized particles and maximize discharge velocity. 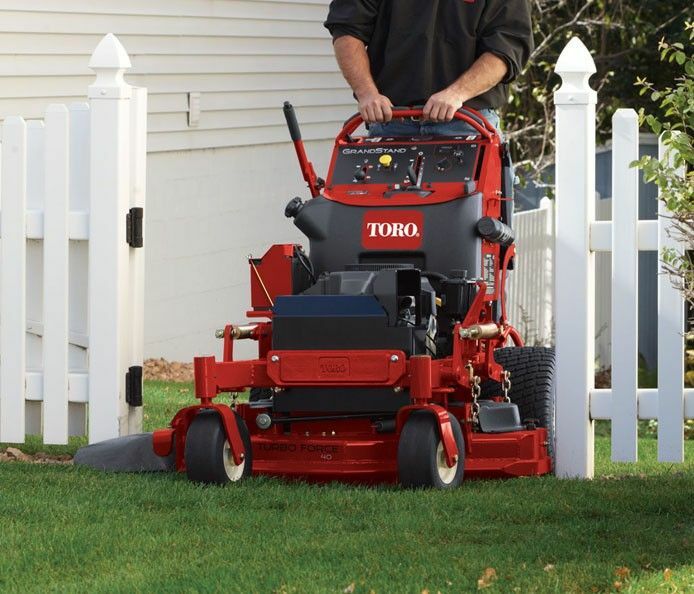 Exclusive TURBO FORCE Deck - High-capacity TURBO FORCE decks deliver unsurpassed strength, a superior cut, and increased productivity in extreme mowing conditions. Equipped with a patented adjustable baffle, TURBO FORCE decks can be fine-tuned in order to conquer changing turf conditions. 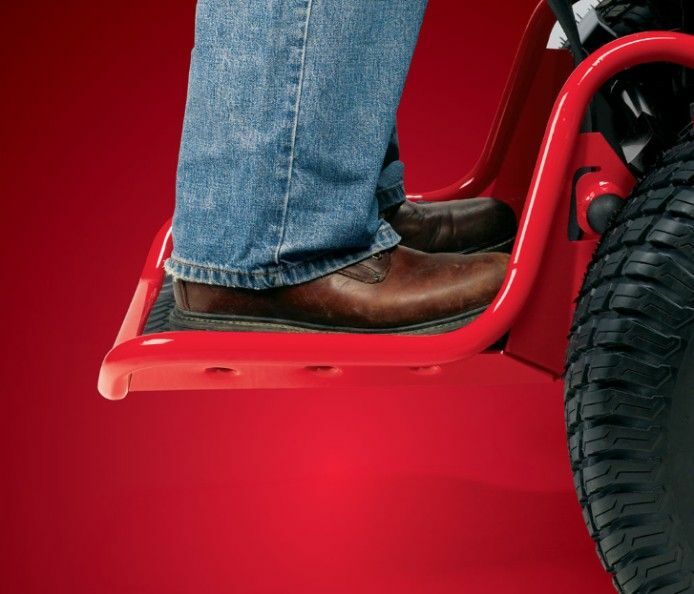 Smarter design in a bull-nose bumper - 7-gauge bull-nose bumper not only protects against frontal impacts, but also contains an integral underskirt to minimize blowout of debris and dust. The bottom, leading edge of the deck is raised 1/4" (6 mm), allowing grass to stand more upright when entering the cutting chamber, ensuring a level cut. Leaf "plowing" during spring and fall clean-up also is significantly reduced. 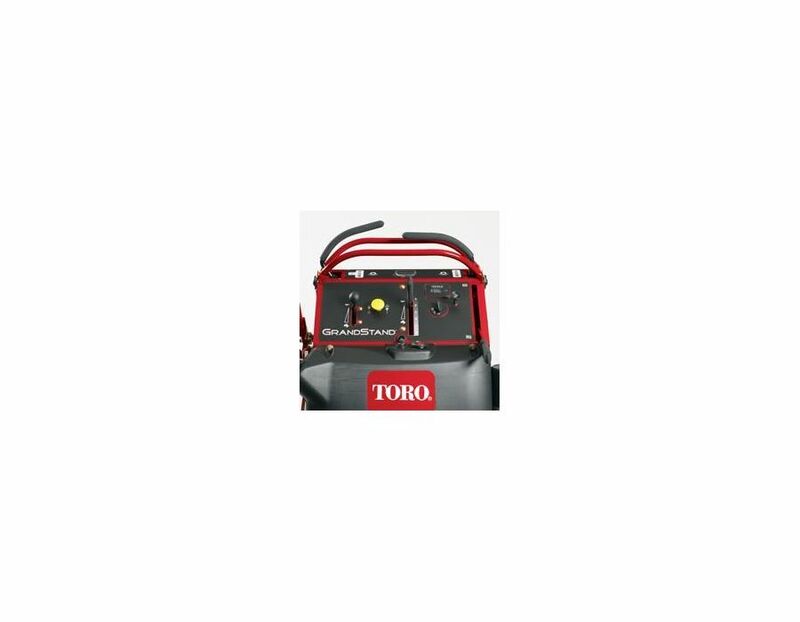 The 74536 Grandstand Toro Kawasaki Mower is available at Kooy Brothers Equipment Ltd. located at 1919 Wilson Avenue in Toronto, Ontario. *Price is subject to change without notice. Errors and omissions exempted. 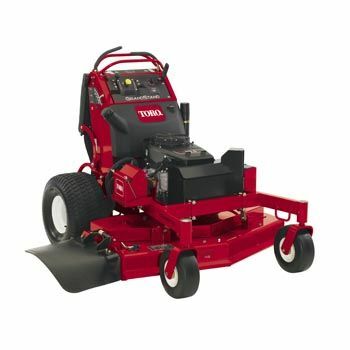 Price shown is for unit with 40" TURBO FORCE deck.